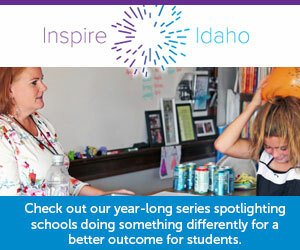 The number of teachers certified through Idaho’s alternative route to the classroom has increased since 2007-08. The American Board for Certification of Teacher Excellence (ABCTE) is an alternative, online program recognized by Idaho as a way to teacher certification instead of using the traditional path through a college of education. In 2007, 168 college graduates had completed ABCTE in order to gain certification. By the end of the 2013-14 school year, 690 had completed the alternative route to the classroom. ABCTE was established by the U.S. Department of Education as a way to bring professionals with bachelors degrees – but without college of education backgrounds – into the classroom. Completed online, it takes an average of seven-10 months to finish, with some enrollees gaining certification within two months. The number of teachers certified through ABCTE from 2007-08 to 2013-14 (690) accounts for under four percent of the total number of individuals who earned Idaho teaching certificates in 2013-14 (18,108). The State Board of Education does not track the number of ABCTE candidates who leave the state or the profession after gaining certification, according to Blake Youde, chief communication and legislative affairs officer for the State Board of Education. Key education lawmakers agree that an alternative route should be in place. In January, the House Education Committee upheld a rule supporting alternative paths in school districts struggling to hire teachers throughout the state. Cyr also said traditional routes, including state and private colleges of education, are “much better” for training teachers. Idaho is one of 14 states that recognize ABCTE as a path to certification. The program carries a $1,850 price tag.